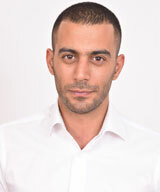 Mr. Itay Tawili founded IBO Group after dedicating more than 10 years from his career in the Israeli High-Tech sector. He held key roles in some of the most complex technology environment organizations as System Administrator & IT head. Starting in Aladdin Knowledge Systems Ltd. (acquired by SafeNet Ltd.) IT, he then continued to Aman Group, a privately held software and integration group of companies. In his last role, Itay head the IT department of Analyst I.M.S, a public financial institution that manages more than $10B in assets & capital, and executed a wide range of cross-organization to complex projects taking in consideration strict regulations, business, and technology aspects. Being educated in USA and Europe almost 2 decades, Dr.Jaroen Atitya has dedicated over 3 decades of his entire career to leading large enterprises in Defense, Energy & IT industries in the FarEast. 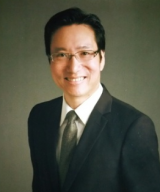 Started his career in Academic arena during the first decade, in his Second decade he was intensively involved with Dutch Heavy Duty Defense Industries as Far East Regional Director. During the Third decade to present he was exposed to alternative energy R&D esp. NGV world and alternative & sustainable energy since 1999 by working with NGV manufacturers of Gas engines in Europe esp. Dutch, Thai & Chinese companies. Exposed to Silicon Valley Companies in 2001 he established KloudData (Thailand) Co., Ltd. to be SAP VAR with global partners. In these recent years he has shifted his focus to explore intensely in Startups ecosystem and innovation go to market possibilities. He co-founded Bangkok Ventures Co., Ltd., an Incubator, Accelerator and Capital Investment Venture which has a variety of activities in the innovation domain. 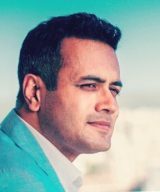 Ankur is an entrepreneurial executive with more than 16 years of international experience in consulting and business development with both Fortune 100 and SME clients. He has lived and worked out of diverse locations across Europe and Asia. His past experience includes significant stints at organizations such as Nestlé, IBM, etc. He had started-up enterprise SBUs twice in Asia for American entities Optimal Solutions (acquired by NTT Data) and KloudData Inc. – taking both of them from zero to multi-million $ revenue. Ankur is a proven go-to-market strategist for new products and services across geographies. He is extensively networked throughout the innovation ecosystem with access to niche skills and tech. He especially possesses deep insightful knowledge of regional market dynamics in South Asia and has established long-term relationships with a marquee clientele. With his expertise in commercialization of bleeding-edge technology, Ankur is on the advisory board of many innovative companies, accelerators and start-ups. Sapri Sale is an Indonesian specialist in Middle Eastern cultures. Mr. Sale learned Islamic Law and Arabic Grammar in Malang, Java Island. In 1989, he went to<br /> study Arabic literature at Al-Azhar University, Cairo, Egypt. There, he also started learning Hebrew at the Israeli Cultural Center and spend sometime at several Arab Countries. 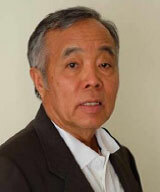 In 1996, he worked for the office of Indonesian Ambassador in Beirut to establish Indonesia Embassy in Lebanon. He voluntarily taught Arabic to Indonesian Diplomatic Corps. 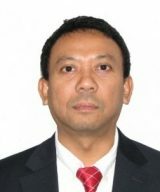 In 1999, he moved to New York and started working for diplomatic representations to the U.N., first for Indonesian military adviser at Permanent Representative of Indonesia to the UN, then for Permanent Representative of Kingdom of Belgium. He retook his study of Hebrew between 2004 and 2006 via Hebrew Online, and remains an avid practitioner of Hebrew. Since 2005,<br /> Mr. Sale has worked on the first Hebrew-Indonesian, Indonesian-Hebrew dictionary,<br /> completed in 2016. He also wrote the first Hebrew conversation book in Indonesia. 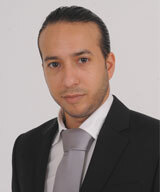 He become well known as Hebrew and Arabic Teacher in Jakarta. Started his career in the diamond industry, armed with ambition and a strong desire to succeed, Idan acquired his personal experience and was trained as a jeweler at the beginning of his career. he then shifted his efforts and began to initiate real estate projects, including sale and rental of properties in Tel Aviv market, while assisting buyers and investors in financing and managing their properties. Today Idan is a leading partner in IBO Group where he is in charge of the group real estate activities and daily operations. Anthony has been in the banking and financial services industry for more than 2 decades. He started his career in the UK with Arthur Andersen, focusing on the manufacturing and financial services sectors. He subsequently moved to investment banking, specializing in mergers and acquisitions (M&A). He assisted private companies to go public via initial public offerings (IPO) as well as public companies executing cross-border M&A transactions. Shortly after returning to Asia in the late 1990s, Anthony had the opportunity to experience, firsthand, the Asian Financial Crisis. He helped his clients maneuver the downturn through M&A and restructuring exercises. Subsequently, Anthony also rode the dot-com boom (and bust) and assisted in several IPOs of technology companies in Asia. Anthony headed regional teams at investment banks including Barclays Capital, Royal Bank of Scotland, Deutsche Bank in investment banking, corporate restructuring and integration initiatives. Anthony spent his formative years in the UK since boarding school and subsequently graduated from the University of Warwick, UK. He has also completed an executive education program in Products and Services Innovation by Massachusetts Institute of Technology (MIT), Sloan School of Management and Emeritus and Strategic Management and Leadership program by Cornell University. 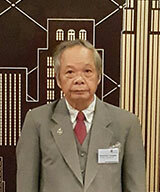 Mr. Boonchoo Yensabai has enjoyed an exciting and steadfast legal career for over 40 years, beginning as an associate in a Thai law firm, then working for the US Embassy, Chase Manhattan Bank NA as chief legal counsel, before establishing his first of several private practices, partnering with international attorneys, such as a US military Colonel, a former judge from Burma, and numerous other partners from the US & Europe. Mr. Yensabai has authored multiple books, been elected to the boards & committees of numerous private and non-profit organizations, including serving as Governor of the Chulalongkorn Alumni Association and as Legal Counsel to the Foreign Correspondents Club of Thailand. His unwavering commitment to excellence on behalf of his clients has earned him the respect of his peers, while his active roles in the Chambers of Commerce and his voracious reading habit have given him an edge, allowing him to provide clients with relevant and insightful solutions for over 40 years.